Drama-Free Nas Attacks Ex-Wife Kelis In Epic Letter — Is He Addressing The Abuse Claims? Drama-free Nas has just written an entire encyclopedia where he took on his ex-wife, Kelis, who claimed that he physically assaulted her during their marriage. 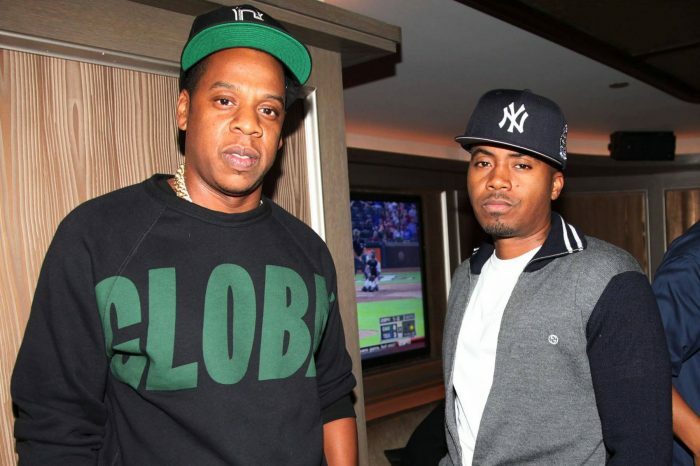 Nas said he recently received a message from Essence asking for a quote about a story they are about to publish where the mother of his son once more bashes him. Nas said he is tired of staying silent while Kelis makes up lies and prevents him from seeing his child. Nas addresses abuse allegations from ex-wife Kelis with 7-part post on Instagram. ? The famous MC wrote about seven pages where he attacked Kelis’ character. In the first page, he said: “The Price I Pay To See My Son. And apologies in advance for the typos as I am speaking from the heart as a man who has had enough. Today I got a call from essence about my ex-wife doing another sad fictitious story. Nothing surprises me anymore, including this. Nas’ other baby mama, Carmen Bryan, had also accused him of physically assaulting her, many are wondering will he address those allegations. Some commenters say that he is still not addressing the elephant in the room.